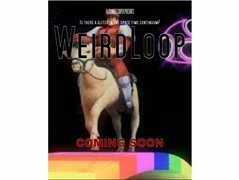 I am looking for actors who would like to voluntarily provide self tape footage for inclusion in my comedy/ mockumentary film "WeirdLoop 3". In this film, Vladimir Bondko, Russian former KGB agent, investigates what "MAGA" (Make America Great Again) is to people. So, what is MAGA to you? If you would like to be in this no budget film, simply send in your self tape, answering the question - what is MAGA ? When you submit your self tape you will need to sign and date a release form to be provided by me. When editing is completed you will get a copy of the finished film. WeirdLoop 1 has been described as Borat Vs Brass Eye. The character I play is highly critical of Trump.Thanks for your continued interest and video submissions.